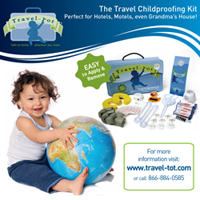 Travel-Tot: Travel-Tot Tip: Tracking Treats! This was a tip I knew I just had to pass along; it's a money, space, and calorie saver! The other day I was lamenting with my friend how every year, we get stuck with bags and bags of extra candy left over from Halloween, and she shared a brilliant secret she has been using for the past few years to avoid that same fate. She told me that she saves the empty bags from the candy they hand out and then records it so that she can buy the same amount the next year (a little more or less depending on the weather). Simple and brilliant!